This guide is a mobile app framework comparison for cross-platform development in 2019. 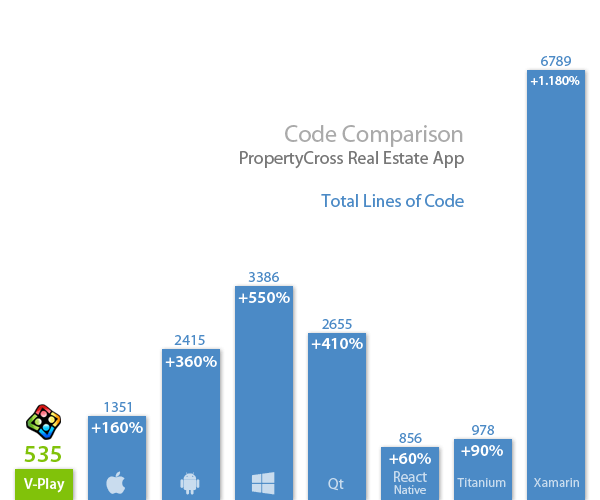 It compares the popular app development frameworks React Native, Cordova, Angular, Ionic, Titanium, Qt and Felgo. In early cross-platform mobile app development times, content was rendered within a WebView, which is a browser window within an app. The most popular framework for applying this approach was PhoneGap, later renamed to Cordova. As a developer, you would define for example a button, and this button then gets styled with CSS in a way so it looks like a native button on iOS and Android. The performance for WebViews varies a lot between smartphones as they rely internally on the WebView version used in the operating system version (e.g. Android 4.0 vs 6.0). You are dependent on Apple (iOS) & Google (Android) to add features for & improve the performance of the WebView. The most relevant disadvantage is performance, which was also the main reason why Facebook decided against a webview based approach for their own apps and rewrote their mobile apps native in 2012 for iOS & Android – with 2 separate code bases & teams. A few popular solutions with a webview based approach are Cordova, Angular, Ionic & Titanium. Qt & Felgo on the other hand, allow you to compile real native applications without the need for a WebView. 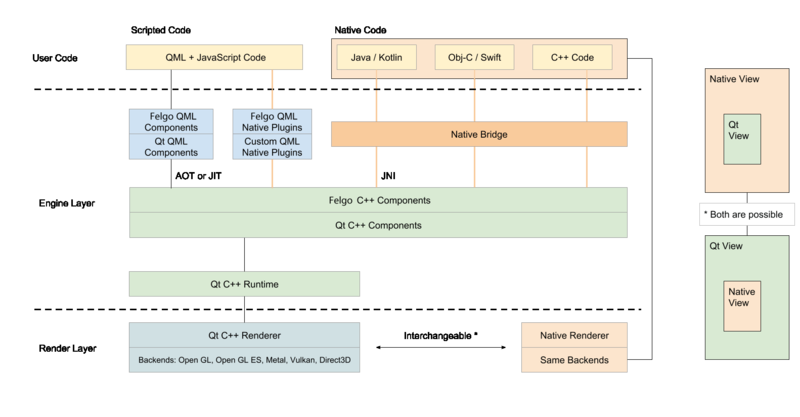 Felgo renders its UI elements with a custom renderer built on C++ & OpenGL ES / Vulkan / Metal. This “scene graph renderer” is optimized for performance and guarantees the UI will look 100% the same on any device & platform. This solves another common issue web-based frameworks have: the UI is guaranteed to look the same, no matter which OS, browser, web rendering engine or browser version is used. If your app prefers a native look & feel, native UI elements are rendered in combination with the custom renderer.